1. 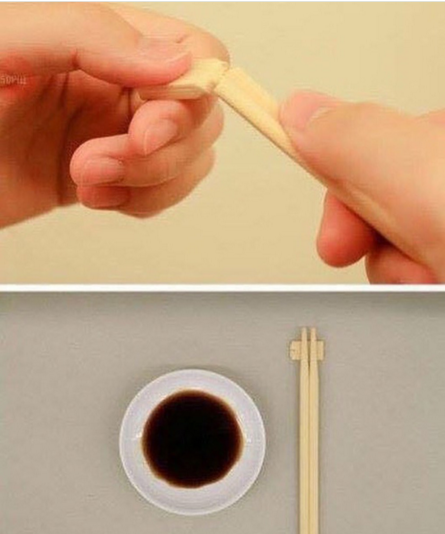 If you look at the photo it shows how you break off the end to use as a rest for your chopsticks. Which were you aware of? 2. 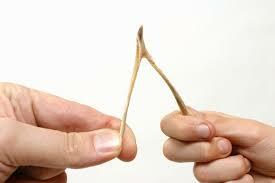 If you did not know but use chopsticks, were you pulling them apart like you would a wishbone? 3. Which do you own? 4. Which would be harder for you to do? 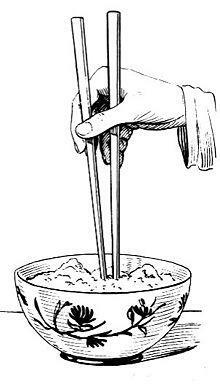 The English word chopstick may have derived from Chinese Pidgin English, in which chop chop meant "quickly". 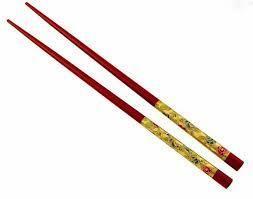 Chopsticks (original name The Celebrated Chop Waltz) is a simple, widely-known waltz for the piano. 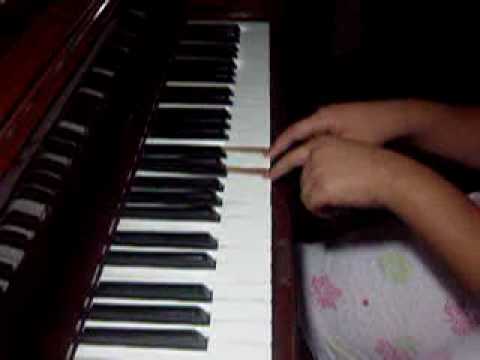 An equivalent of this rudimentary two-finger piano exercise was known in Russia in duple meter as "tati-tati" or the "Cutlet Polka".